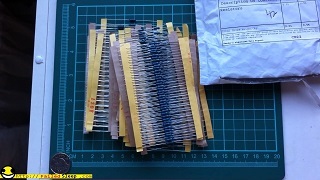 Thirty wonderful strips of twenty resistors. Thirty different values. It should be a longer while now til I have to go raiding my old 200 in 1 electronics kit. Maybe I over did it, but this stemmed from me being one resistor shy of finishing a project. Now I should not have that problem. People sometimes naturally draw a line between love of electronics, and all things "geeky", with also being a fan of all things Sci Fi. A lot of people consider the British television series Doctor Who to be one of the finest examples of Sci Fi. I would like to say I am not such a predictable person. 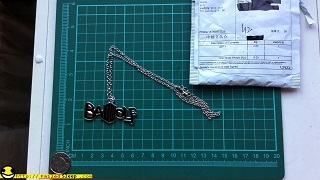 My excitement over receiving this necklace of Whovian artistry would say other wise. For those that catch the reference, excellent. I guess I earned my geek card.